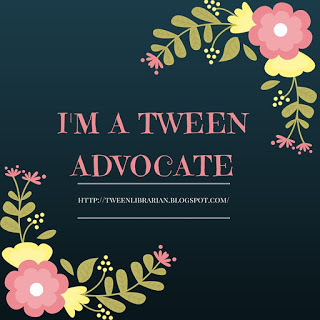 I love this article about the American Girl dolls! Did anyone else want an American Girl doll but never get one? My parents thought the price was too much for a toy, but that didn't stop me from pouring over the catalogs and trying to figure out if there was something small I could buy. I always liked Samantha, mostly because she was in the Victorian time period, which I loved as a kid, and she had a muff, which I really, really wanted. Molly was my second favorite because of her time period as well and because she was a bit like me. I'm still a little bitter I never got my Samantha doll and muff! Thank you to my friend Kelly for posting this one Facebook! As soon as I saw the post title on your blog I thought Samantha & the muff. I never had the doll either but man I wanted her & her muff! I am so happy to know I am not alone. Love it! Samantha was my favorite. I can't believe American Girl discontinued her. Hmph. I actually had one - Molly and she was by far my favorite! I read all the books and got her as a Christmas present...and if I remember right I only got a couple other small things. My mom and I even went to one of the "teas" with your American girl doll. I loved Molly because she was a lot like me - both looks wise and her "personality". I cannot tell you how many outfits I had for her - the classic ones and ones that went along with what I liked. My second favorite was Felicity. I actually got to take the Felicity tour in Williamsburg with my mom while my brother and dad played golf. It was a great doll and a great way to get to spend time with my mom! Oh my, this is so awesome. I had samantha, but I really don't think that that description fits me, back when I was little though, I wanted it too. I will not deny that I thought I was awesome-er because I had Samantha, I was SO furious when they stopped making her, I still am, and will never really be over it. My sister however, had Molly and what it said about her couldn't be more correct. We both shared kit, I'll have to go back and see what it says about her. Again, loved this! This is the funniest article! 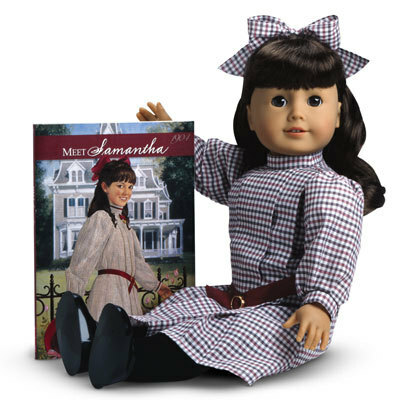 I always wanted a Samantha doll, but my parents would never splurge for one! However, my YOUNGER sister got one....which pissed me off to no end!!!!! I got Rebecca and I don't even know who that is... which made me feel really old! I'm glad you found my blog! I look forward to meeting you at MLA. I'm just getting back to you because I was in Chicago. I walked through the American Girl Doll store there -- that's huge! I'm too old for this phenomenon but I've been entranced by the catalogs since they came out. I too loved the American Girl dolls when I was younger. I wanted the Samantha doll because she was the only doll I knew of with brown eyes. My parents also did not buy me one because they were too expensive, but I settled on reading the books, and dreaming about what I wanted in the catalog.